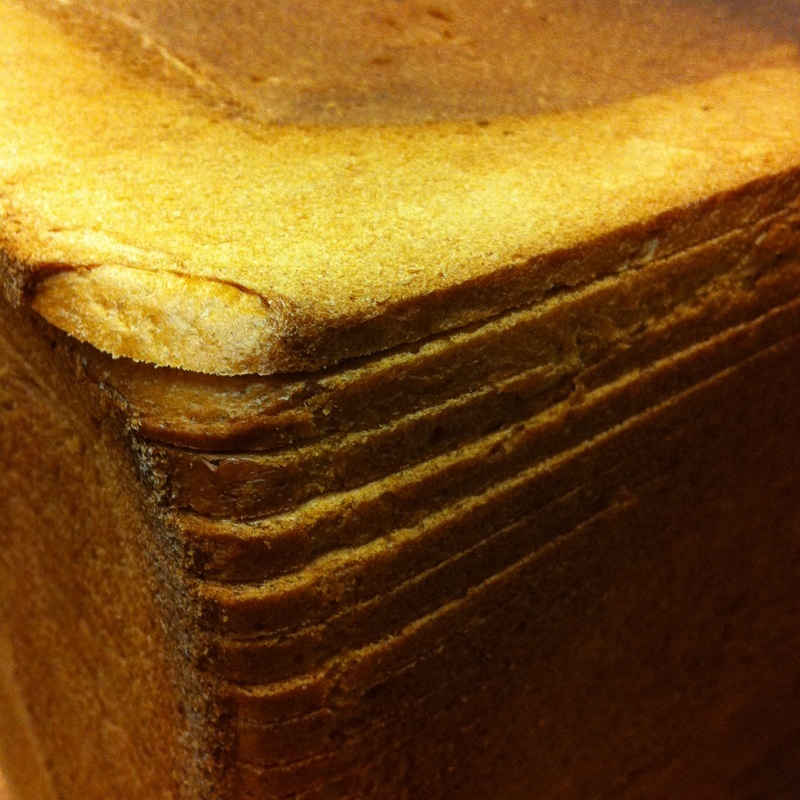 Pan de miga, aka pain de mie or the Pullman loaf is a delicate white bread we use for making tea sandwiches. We sell the bread itself in half-loaves, whole ($10) or cut ($13), and full loaves, whole ($18) or cut ($24). Please allow at least 72 hours in advance for orders of pan de miga. 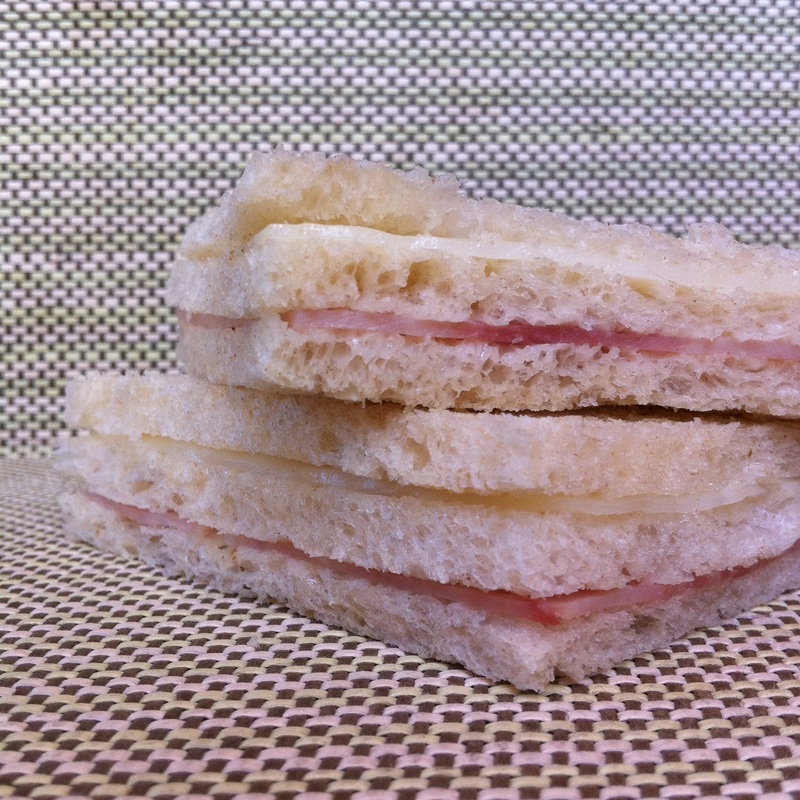 Our sandwiches de miga are standardly ham and mozzarella cheese, sold individually for $2, $6 per half-dozen, and $12 per dozen. On occasion, we carry mixed sandwich boxes (of a dozen quantity at $12, acting rather like a sampler for the most popular ingredient combinations) of ham combined with cheese and various fresh vegetables, e.g. ham & mozzarella, ham & lettuce, ham & tomato, ham & red bell pepper, ham & heart of palm, ham & olive. We ask that custom orders for sandwiches de miga consisting of or beyond the types of combinations offered in the mixed boxes be placed for a quantity minimum of a dozen and at least 72 hours in advance.